Not every place draws our attention because of its unearthly beauty or alluring landscape. Some, on the flipside, steal the spotlight totally for the unique stories that they hold within them. Stories of love, warfare, glory, culture, and traditions: stories that make India the mysterious, riddled land that it is. Then again, there are places whose stories can barely fit in any of these categories. They are, in one word, astonishing. They blur the line between facts and fictions, so much so that even modern science fails to unravel their mysteries with logic and reasons. Such is the story of Kodinhi-a tiny village tucked up deep inside the Malappuram district of Kerala. The lush green village of Kodinhi is home to not more than 2000 families. But what's shocking is the fact that Kodinhi has the highest birth rate of twins all across the world. The moment you walk into this village, you get to see the identical faces almost everywhere-young, old and middle-aged twins at schools, marketplaces, shops, offices and where not. Local legends say that this surprising phenomenon started some 60-70 years ago. And despite multiple research being conducted by national as well as international experts, no concrete reason has still been deciphered. Factually, global twins only comprise 6 out of every 1,000 newborns, whereas in Kodinhi the number escalates up to 42 out of 1,000. This is a 700% increase. What's even more interesting? Women from Kodinhi who get married elsewhere also give birth to twins. These facts give goosebumps even to the subject experts. And no one-neither the villagers nor the researchers-till date knows why or how all of these started. Although some doctors do believe that it might be the peculiar chemical composition of the local water, this enormous birth rate of twins in the village still remains a mystery capped in curiosity and astonishment. A trip to Kodinhi is indeed an experience of a lifetime that leaves you baffled for days after your trip is over. Alongside, while you're travelling to Kodinhi, there are also a bunch of magnificent places in "God's Own Country" that you can cover on a single trip. The adventure-seeker within you will thoroughly love it in the Keralamkundu waterfalls. Picturise a waterfall located at a height of 1500 ft above sea level where the water gushes down 150 ft off a rocky cliff into a vast pool. This is one of the attractions of this region where the river Kadalundipuzha flows straight into the Arabian Sea. Being home to over 150 varieties of native and migratory birds, the sanctuary attracts tourists from all over India to witness a range of rare species of avifauna. If you're visiting in between the months of October and March, you might spot migratory birds, such as terns, seagulls, greenshank, etc. The forested rural district of Wayanad is home to ample natural marvels. You can trek up the Chembra Peak where the heart-shaped lake is located or head to Banasura Sagar to witness the largest earth dam in India. By Air: To reach this mysterious village, you can travel up to Calicut International Airport. From there you'll get cabs to Kodinhi, which is another 40 km onward journey. 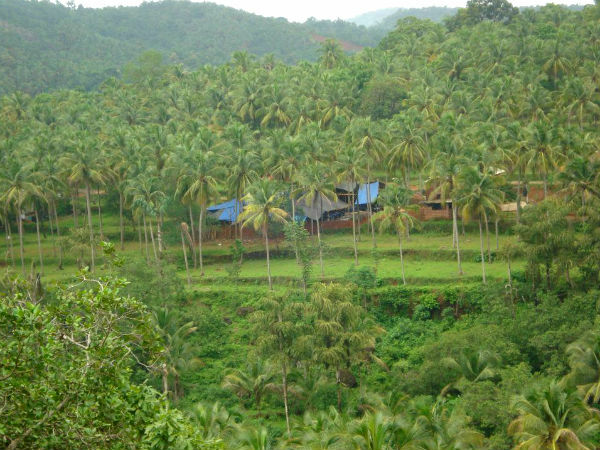 By Train: Tanur and Parpanangadi Railway Stations are very nearby to Kodinhi. Kozhikode is the major railway station situated at a distance of 33 km from Kodinhi. By Road: From Bangalore, regular buses are available to Kodinhi. Ticket cost ranges between Rs. 550 and Rs. 800 and the journey takes about nine and a half hours.